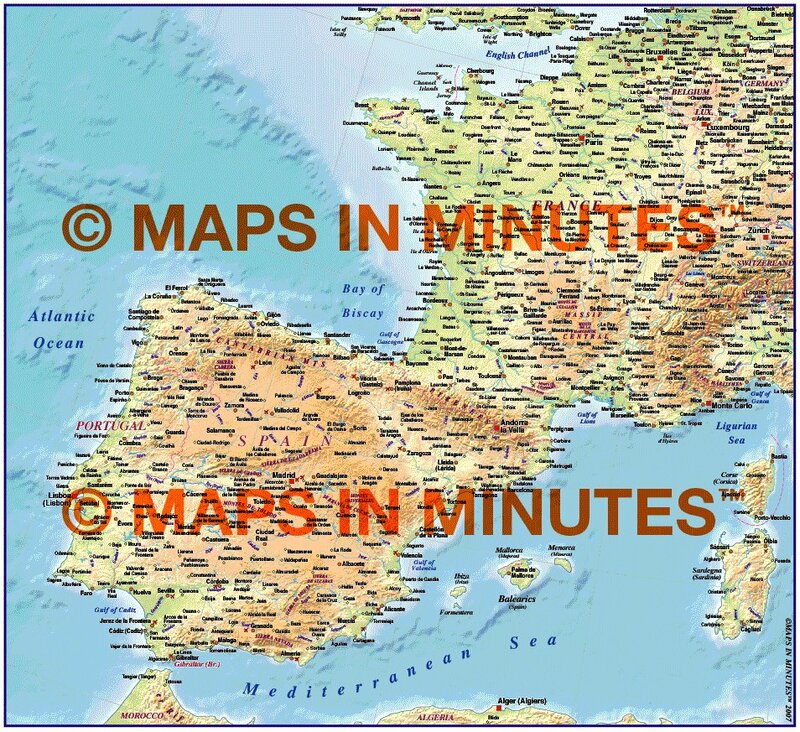 Royalty free map of both Iberia (Spain and Portugal) & France @4M scale using the Regular Relief colours. 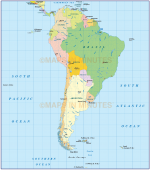 This is quite a unique map showing both countries in one but is a good map for Tourism, Holidays etc. 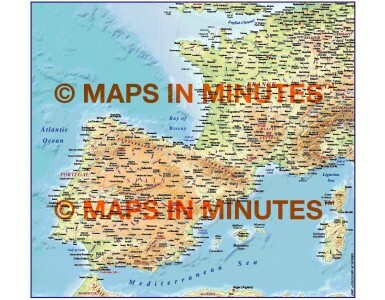 Royalty free map of both Iberia (Spain and Portugal) & France @4M scale using the Regular Relief colours. This is quite a unique map showing both countries in one but is a good map for Tourism, Holidays etc. Available in Illustrator 7.0 (with Illustrator CS version coming soon) as a fully layered vector file including a placed (linked) regular coloured relief tiff background. Illustrator vector layers include capital cities & major settlements, river names, physical features, coastlines, political borders, country fills and a vector sea mask.